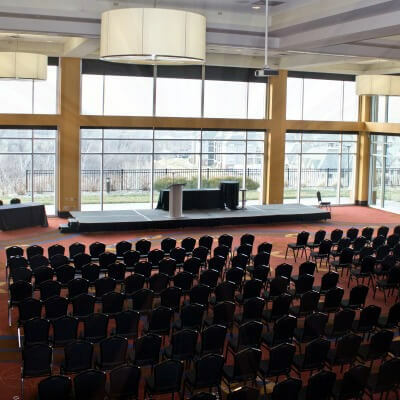 Our 20-foot floor-to-ceiling windows are sure to amaze your guests upon entry, providing a panoramic view of the Kansas City skyline. 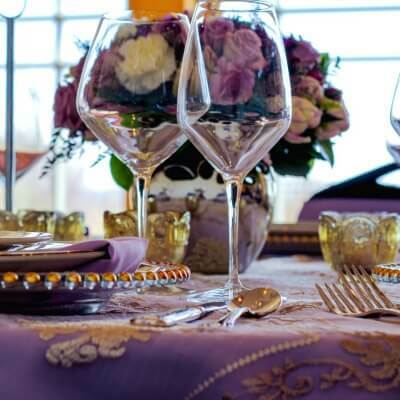 While your guests are marveling at the picturesque scenery, they will be dining on innovative cuisine prepared by our Executive Chef and dancing and celebrating the night away in our stylish 7,200 square foot ballroom. 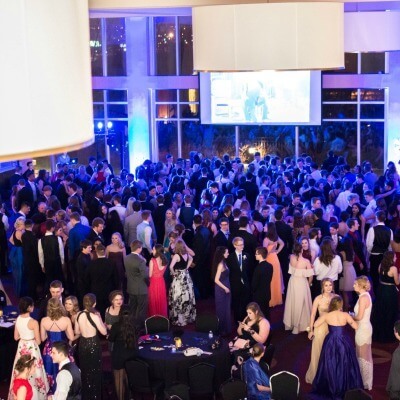 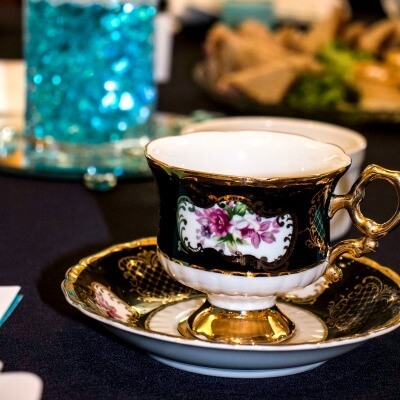 Our professional and experienced planners will help guide you through any type of event including weddings, receptions, corporate gatherings, private parties, formal dinners and more. 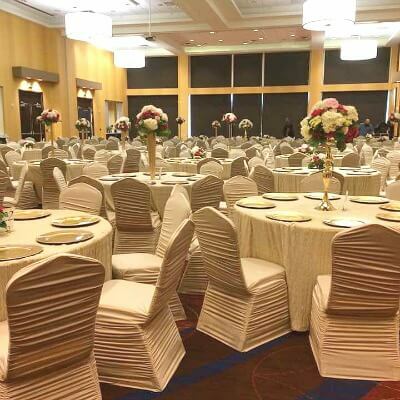 Whether you’re hosting for 5 or 500, our elegant ballroom can be divided to suit your party needs. 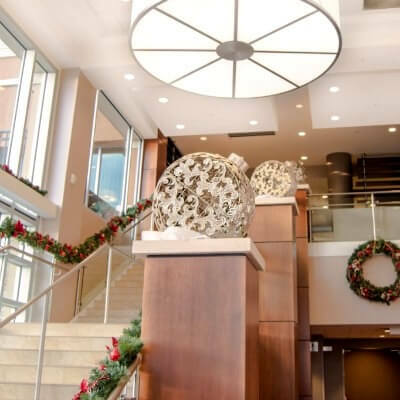 From a fully customizable menu to décor, to seamless service, The View at Briarcliff is sure to offer a memorable experience for all. 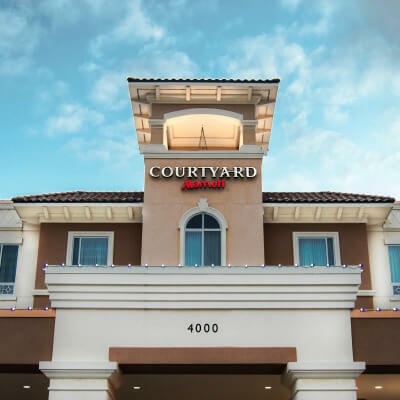 Our conveniently located LEED certified event venue is nestled just minutes away from the airport and the Kansas City Metro area, inside the luxurious Courtyard Marriott – Briarcliff. 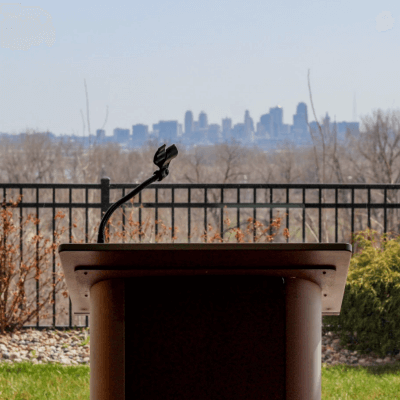 Book your occasion with us and let The View at Briarcliff team create the event of your dreams.